Part love story, part murder mystery, set on the cusp of the Second World War, Russell Banks's sharp-witted and deeply engaging new novel raises dangerous questions about class, politics, art, love, and madness—and explores what happens when two powerful personalities, trapped at opposite ends of a social divide, begin to break the rules. Jordan's reputation has preceded him; he is internationally known as much for his exploits and conquests as for his paintings themselves, and, here in the midst of the Great Depression, his leftist loyalties seem suspiciously undercut by his wealth and elite clientele. But for all his worldly swagger, Jordan is as staggered by Vanessa's beauty and charm as she is by his defiant independence. He falls easy prey to her electrifying personality, but it is not long before he discovers that the heiress carries a dark, deeply scarring family secret. Emotionally unstable from the start, and further unhinged by her father's unexpected death, Vanessa begins to spin wildly out of control, manipulating and destroying the lives of all who cross her path. 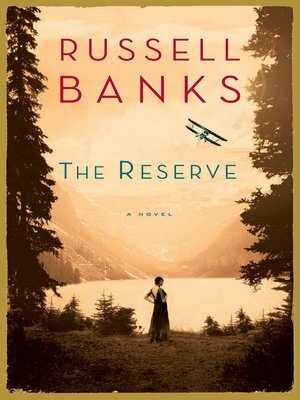 Moving from the secluded beauty of the Adirondack wilderness to the skies above war-torn Spain and Fascist Germany, The Reserve is a clever, incisive, and passionately romantic novel of suspense that adds a new dimension to this acclaimed author's extraordinary repertoire.